Let us help you to experience the best B&B's throughout Alaska. 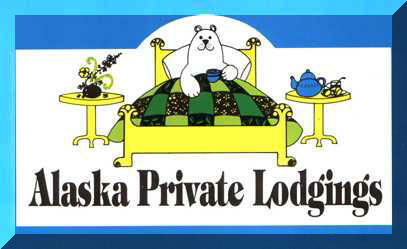 Alaska Private Lodgings: Stay with a friend can refer you to the right bed and breakfast lodgings in Alaska. Your memorable experience as you visit our state is important to us and we want the hospitality you receive at each bed and breakfast to reflect that. Our services include reservations at a bed and breakfast, private accommodations and cabins, activities and transportation. Alaska Private Lodgingshas been serving the Alaska visitor with help finding a bed and breakfast in travel throughout Alaska since 1982.
to find a bed and breakfast in a community in the State of Alaska! "For your Alaska itinerary planning, we can do it all, with one call!" We recommend lodgings suitable to independent travelers and families. Many of our Alaskan lodgings are traditional "home-stay" B&Bs that are delightfully different and full of Alaskan hospitality. We also represent private "un-hosted" accommodations with a private entrance, kitchenette and other comforts. We are proud to represent Alaska as the selected member agency of The National Network of Bed and Breakfast Reservation Services. This network of quality guaranteed services has established criteria for member agencies to assure the traveling public of high standards in property inspection and agency operations. 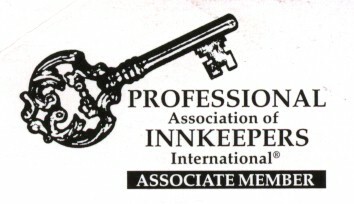 Click here for The National Network membership roster, suitable for printing.